Rhinos to Receive Wearable Anti Poaching Device in Field Trials « Adafruit Industries – Makers, hackers, artists, designers and engineers! Rhino poaching has increased some 9,300 percent since 2007 in South Africa alone, where the vast landscapes mean that even highly capable anti-poaching forces are unaware of poaching events until it is far too late, meaning that arrest and conviction rates are low, and there is little deterrent to poachers. 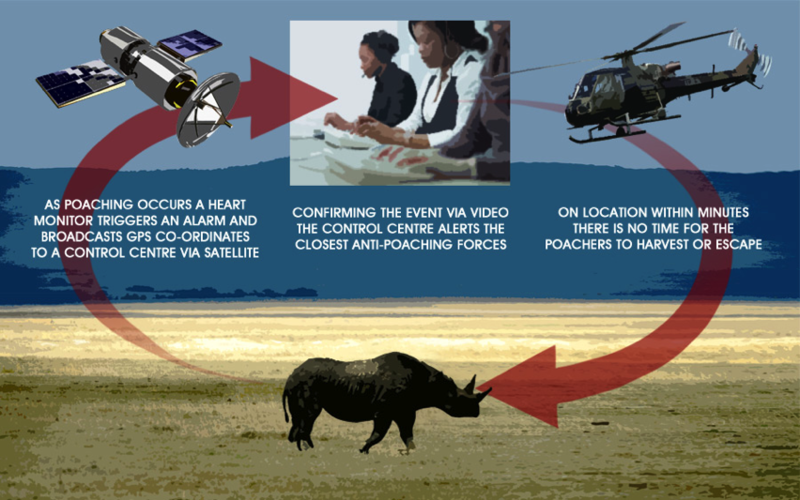 The Protect RAPID (Real-time Anti Poaching Intelligence Device) aims to solve the problem by combining a GPS satellite collar with a heart rate monitor and video camera. Broadcasting 24/7 real time information to a control centre, anti-poaching teams can be alerted and dispatched to poaching events within seconds of them taking place. Dr Paul O’Donoghue, chief scientific advisor for Protect, who has worked with endangered black rhino populations for more than 15 years explains: “Currently a rhino is butchered every six hours in Africa, the issues are many, but there’s far too much money at stake to believe that legislation alone can make the difference, we had to find a way to protect these animals effectively in the field; the killing has to be stopped. The device already has the backing of leading rhino veterinarians and conservationists in South Africa, including Dean Peinke, Specialist Mammal Ecologist for the Eastern Cape Parks and Tourism Agency, who said: “We simply don’t know where or when poachers might strike, to effectively patrol these vast landscapes requires an army and still poachers could find a way through; they are well organised and equipped, and they will find gaps in almost any defence because the rewards are so great.